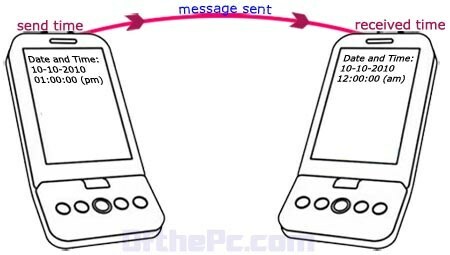 regarding text messaging concerning projects, all due to the difference in time format while showing received messages. No way will the apps helps you for evidence as it is showing wrong time format. 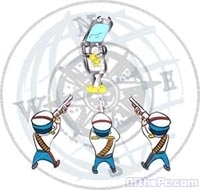 And later then, when I tend to fix the problem, I started the quest from my friends, where I let know that few of my friends have the same problem and probably the one using Nokia sets, after I couldn’t find any solution in net. I was unclear even after going through the manual of the concerned concern in materials they provided or in Web. After a long hunt, I set it right by following simple Tweaks.., finally it made me to think that-“ while the problem persists or prevails, it likely to be kind of bold obstacle (hard to route it out) but after finding the solutions it seems to me nothing". For about two weeks now, every text message I receive has a time stamp of 5 hours before it was actually sent. 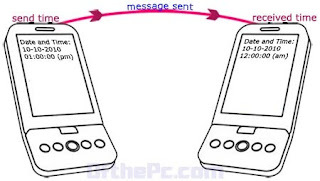 For example, a text sent at 7 p.m. will arrive with a time stamp of 2 p.m. I posted this in several forums... Still no solution, Hey all. I've got an iMate Jasjam, and some sms's are showing as being received 2 hours ahead of now. Hey guys I noticed that this weekend after daylight savings every time i receive a sms the time is completely wrong sometimes off by like 10 or 12 hrs. Yep, I'm having the same problem. The weird thing is that most of the SMSs are coming in with the correct time; others are coming in totally wrong. How to fix wrong time format? In your mobile Go to setting – Date and Time Setting / Format - scroll down to GMT – in that Change the GMT (Greenwich Mean Time) time in the handset, respectively to your location.